In addition to these free sources, there are appx. 40 books with cheap Kindle ebook versions ($0.99-$2.99). Before school starts, I hope I can write up a kind of "tips" page on which online options are best suited to which purposes (search, reading, downloading, etc.). Course Redesign Update: July 30... Overviews done! Wow: what a great feeling!!! OVERVIEWS DONE. Course Redesign Update: July 29... Reading Guides done! WHOO-HOO: all the Reading Guides are done for both versions of both epics... and with this, I am really cut loose from the old websites for both of my classes. That is such a great feeling! Some more clean-up and content development on Wednesday and Thursday... and then I am ready for normal back-to-school prep starting on August 1. What a summer!!! 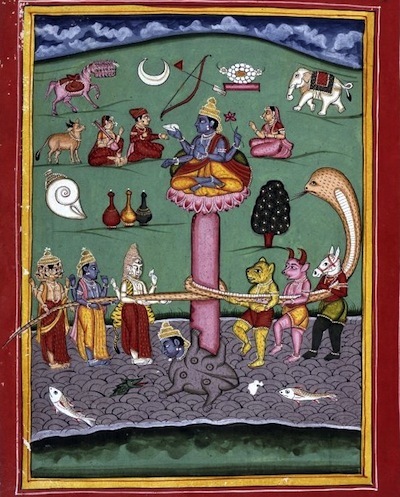 So, here's the navigation widget from the Indian Epics resources blog, which is full of images too! Course Redesign Update: July 28... Kalevala! I've just got four units left to proofread, so I am doing one per day... which means I will be finished by Friday, August 1. The unit for today: KALEVALA! Thoughts about the Kalevala unit. So, as I learned from Twitter and the blogs of folks like Audrey Watters et al., a Domain of One's Own is coming to my school. But apparently it is coming to my school in the top-down, by-invitation-only way that other technology initiatives have happened over the past couple of years. Not a word about this at the Academic Technology blog or the Center for Teaching Excellence blog. Nope, you will not find an announcement about the workshops that are apparently (???) happening right now on campus, and certainly not any kind of invitation to follow and/or participate in this, even though there are surely quite a few faculty on campus who would be curious about this important experiment which might, for the first time ever, provide serious support by my school for online content development by both faculty and students. No call for volunteers (and you know I would love to volunteer...), not even a listserv to subscribe to (email is still the main way information gets spread at my school). In fact, when I contacted the director of the Center for Teaching Excellence week before last (by email) to ask about blogging and other online community options for the coming year, not a word of this was mentioned in the reply. Nada. Thanks to the openness of Twitter and other people's blogs, though, I did at least get to hear about it! So, on the one hand, I'm glad this is happening, but I'm also discouraged that it is not happening in a more open way... and I'm also not surprised. Last fall, the Janux learning management system (in which OU is apparently prepared to invest millions of dollars) came to light without any preliminary warning and, it seems, that very expensive learning management system has been built to serve the needs of just a couple dozen faculty members, without any shared opportunities for the rest of us struggling to find ways to make our online courses more social and interactive than is possible in the Desire2Learn course management system. Something similar happened a few years ago, when a WordPress/Edublogs installation was finally set up at my school... but individual faculty were not even allowed to request accounts, much less students. No, that blogging system was set up to serve the needs of departments and other academic organizations. The sad results can be seen here: http://blogs.ou.edu. Without the momentum that could have been provided by students and faculty who are really excited about the online world and the use of blogs to build online presence, that blogging initiative went nowhere. Was anything gained by excluding students and faculty from the experiment? Just the opposite: I would argue that the failure to open up the system for all interested members of the campus community is what resulted in its now moribund state. I teach fully online classes, with student content creation and sharing being the heart and soul of those classes. Since Desire2Learn is completely inadequate to that task, I've relied on external tools for many years to make it possible for students to share their work online. I've used a variety of blogging and discussion tools, starting out with EZBoard and then Bloglines (remember the Bloglines Plumber? ), and then Ning and now, because of the demise of mini-Nings for educators, I'll be recommending that students use Blogger next year, although any blogging option they prefer will work. It's still pretty rare for me to meet students who have built up an online presence and thus have a blogging preference already, but it's great when that happens — one of the students last semester did his class project as a section in his existing WordPress blog, which was super! For websites, I recommend that my student use Google Sites although, once again, if there is another system they want to use, that's great. For example, last year one of my students wanted to learn how to use Wix, and that worked out nicely! After a disaster in August 2010, when the IT folks at my school erased, without warning, hundreds of the websites that my students had published in their students.ou.edu webspace (that webspace, which I think is still 3MB per account, was set up for students in 1999), I started recommending Google Sites. I've been very happy with the results: Google Sites is easy to use, and the sites belong to the students, so they can choose to leave them up or not after the class is over. I am so grateful that almost all the students leave their sites up, realizing as they do that the archive of previous student projects is the single most important resource for each new class! You can see the archive of student projects built with Google Sites here at eStorybook Central. One of the fun tasks I have next week is going through the archives to check for any sites that have gone offline (there are usually not more than a handful), while also adding the new sites from the wonderful stuff people did in the Spring semester. So, naturally, as someone with a long-term interest in student web publishing, I have followed Jim Groom and his colleagues for many years, watching the development of the Domain of One's Own project with great interest. I'm also impressed with the use of Google Sites for student portfolios at Clemson University, where online portfolios are used in conjunction with all the General Education classes. The big question: what will happen now on my campus? Is Domain of One's Own going to go the way of OU Edublogs (dying out because it was not widely available to all faculty and students) or of OU Janux (by-invitation-only to a select few) ... or will it finally provide the catalyst for truly open, truly participatory web culture at OU...? I await the results with great curiosity. Meanwhile, since I've still got online classes to teach starting in just a few weeks, I'll be working on my Blogger and Google Sites support materials... because I cannot afford for the university to catch up to what my students and I have been doing since back in 2002: creating and publishing content online every single week of the semester, starting in Week One. And thank you, Google, for making that possible! Course Redesign Update: July 27 ... audio progress: 500 stories! I worked on getting audio squared away today, and I am really happy with the results! 35 of the 100 units have LibriVox recordings available, and two more (La Fontaine and the Sioux unit) have partial audio for one of the two books used in the unit. Those 35 units are not exactly evenly distributed, but it is indeed possible for each week that students can choose an audiobook option! Admittedly, I have no idea how many students will want to do this; I was inspired to make these audiobooks part of the class because I myself do most of my leisure listening to books in audiobook format, and have done so for many years. I will enjoy learning from the students how they use the audio, and I am going to write up some extra credit options to allow the students to experiment with different ways of audio-reading (look at the text or not, close their eyes or not, etc.). Since the audio for these stories come in small, story-sized chunks, students can experiment in that way and just see what they like. 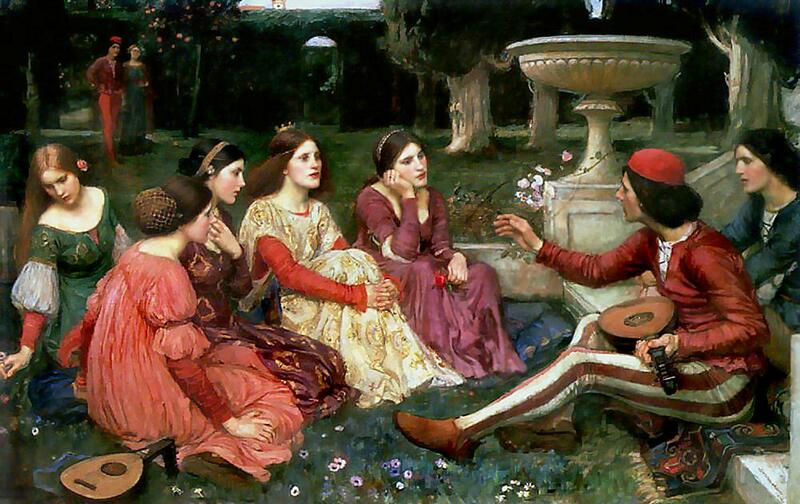 Perhaps they will want to listen to just one or two stories in a unit, for example. I'm going to learn a lot from their choices and comments! To finish up, I just need to add the audio links for Decameron, Kalevala, and Faerie Queene... as of Sunday night, I have links in place for all the other audio units. Meanwhile, I am so grateful to all the volunteers at LibriVox, and also to the great hosting set-up at Internet Archive which makes it really easy to link to the audio for each individual story. 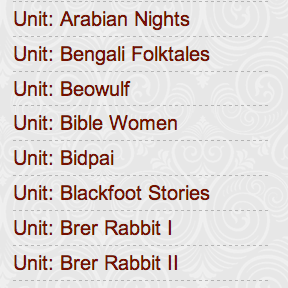 Here is a listing of the 35 units with audio, and that means there are over 500 stories that have audio available! So exciting!!! I also really like the way the LibriVox logo with its tagline, "acoustical liberation of books in the public domain," promotes the idea of public domain content every time my students see the logo! Today was a day full of fairy tales because I was doing proofing on the Europa collection by Jacobs, the two units of European fairy tales by Lang AND the Czech fairy tales. I am so delighted by all of them! There's no way of knowing how many, if any, of the students will choose these units as their reading choices, but I am going to get so much incredible re-use out of these fairy tales for all kinds of purposes in the class. I really hope to start promoting the idea of a "Fairy Tale Laboratory" for example! I don't have time to work that up in advance for Fall, but maybe that is something I can build piece by piece during the semester, writing up a laboratory "method" each weekend or something like that. Anyway, when I began this project, my one and only goal was just to replace the course website with new readings... but the granular, modular approach I took, facilitated by Blogger, is going to prove so useful for other kinds of content development — much more important content development, in fact: building learning experiences for students that go beyond just reading! 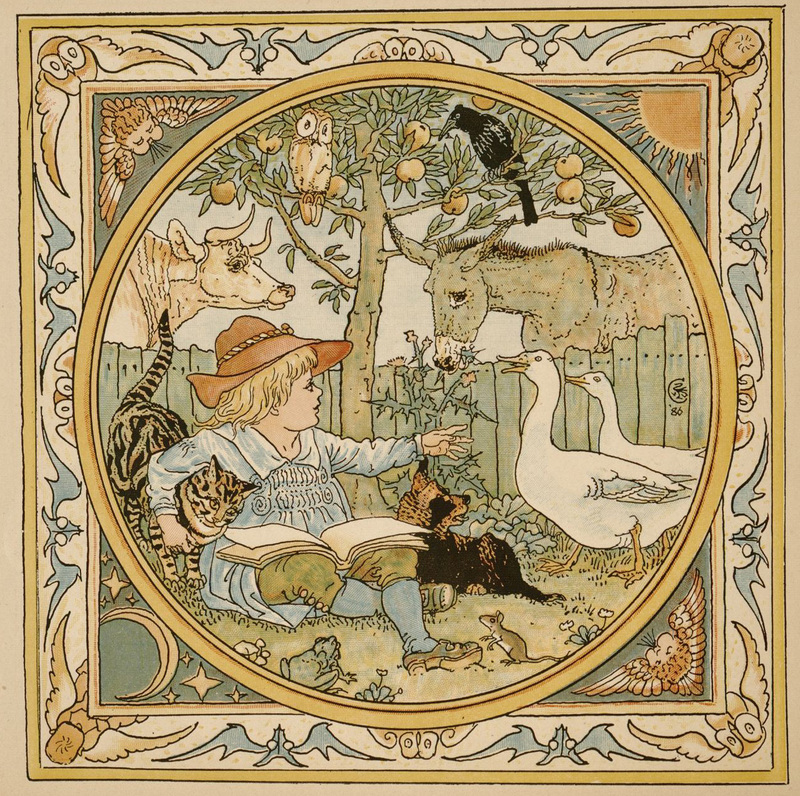 In honor of Caturday, I shared some cat stories at Google+ of course: The Cockerel, the Cat, and the Young Mouse; The Eagle, the Wild Sow, and the Cat; and The Earl of Cattenborough (Puss in Boots). In a burst of overview-writing, I finished up the British Isles module. Like the Native American and European modules, the British Isles unit is a "double" module that lasts for two weeks, so it contains 16 units. I am really pleased with the combination of materials and the reading options they offer for students; you can see how that all fits together in the British Isles table and the suggestions below for how students can strategize about their reading choices. 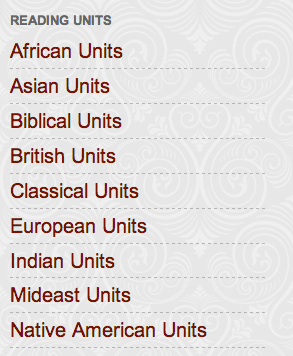 You can also see all the units with their overviews on a single page here: British Units. There are so many units in here that I am personally very excited about; I guess the two that I am most happy about are the Nursery Rhymes unit and Faerie Queene: Britomart. 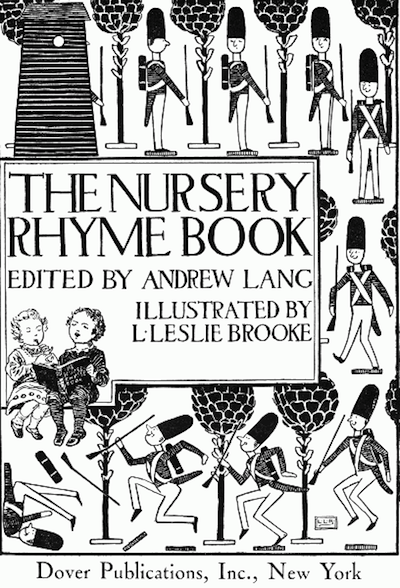 The nursery rhymes are going to be great because I can use them during Orientation week as storytelling prompts! Students will now have a choice of Aesop's fables (I'll use Winter unit there I think) OR nursery rhymes OR the vacation-from-hell map to prompt their first storywriting experiment. As for Britomart, I am really thrilled to have this FEMALE knight to go with the other Arthurian material and hero legends in the course. 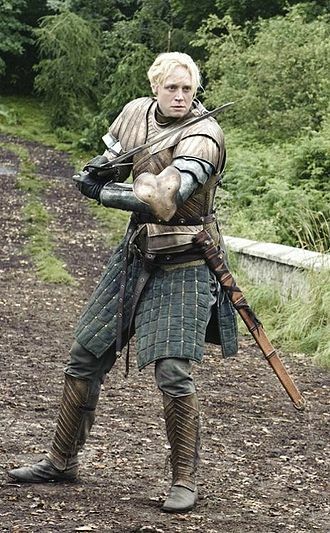 I'm guessing that my students, and there are always quite a few of them, who are attracted to the "Disney princess" mode will be fascinated by this sword-wielding princess who is part Disney and part Brienne of Tarth! I hope I can get a lot of students to choose that one; I will really enjoy getting their feedback. Course Redesign Update: July 24 ... Aesop unit ready to go! Choosing Between Units: This is something I'll do for any module that has two or more very closely related units where students might not be sure how to choose between them. 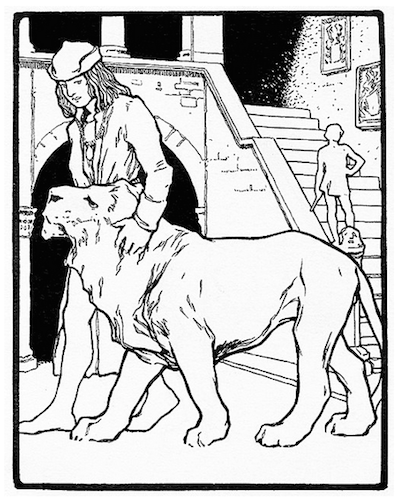 That's the case here, where there are two Aesop's fables units available in the Classical module. Connecting Units: This is one way I hope to make explicit some of the larger structures that support the way the content in the class is organized, hopefully preparing students to make connections from one unit to another and, even more importantly, from one module to another. In this case, I want to alert them both to the later Aesop units in the British Isles and European modules, and also to the very important connection to the Jataka tales coming up in the India unit. Additional Resources: Over the long run, I want to add a lot of blog posts that provide detailed background, but for now just a couple of links will help. Then, I can just build on that later on. Reading Diary: I hope to be able to share all my own reading diaries for the first couple of modules. I like writing up the diaries, and I hope the students will have a sense of fun about that too! Storytelling Ideas: Some students don't want/need prompts, but for other students they can be a big help since I sure don't want anybody to be feeling the stress of writer's block! Read More: This is where I alert people to the complete online edition of the book, and Internet Archive especially is so great for that, being able to link to specific pages in the book as I did here to link to the "History of the Aesopic Fable" in the book by Jacobs. 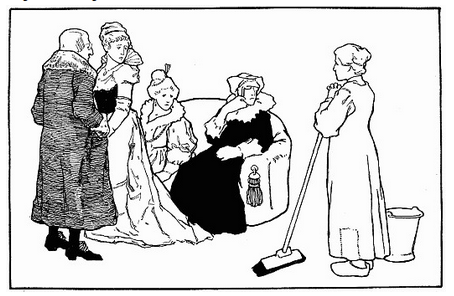 The unit also has illustrations by Walter Crane, whoo-hoo! Course Redesign Update: July 23 ... GRIMM! I worked today on the four Brothers Grimm units, and what a thrill it was: I am VERY pleased with my decision to do four units devoted to Brothers Grimm, the most for any source. Well, there are four Aesop units, too, but spread out... the Brothers get a whole row of their own in the European module! A year ago (or more...? ), I read a very inspiring post about online-sharing stories at Alan Levine's awesome CogDogBlog blog, and I knew right away what story I should tell, but time ran away from me. And I did not write it up. And it's not even exactly about OERs because I don't really think in terms of OERs. But Alan is flexible on that as you can see here in his comment on my previous post ... and this is a story I've always meant to write down somewhere. So, here's the story. It's about Latin. 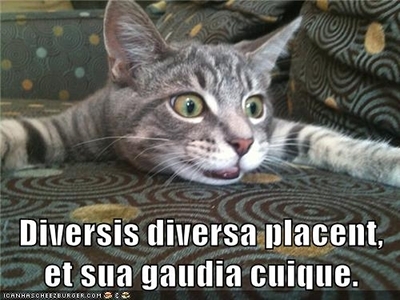 For years (and YEARS) I have had a Latin blog online, Bestiaria Latina. It's the "Bestiaria" because it includes all kinds of beasties (Aesop's fables, Latin LOLCats), and I also include Latin proverbs and mottoes of all kinds. That's because I LOVE Latin proverbs and mottoes. Everybody needs a motto. I've got proverbs and mottoes for all occasions. Including the Internet: Qui quaerit, invenit. "He who seeks, finds." Well, someone who seeks Latin proverbs and mottoes on the Internet finds me pretty quickly, and I get a lot of wild email as a result. In particular, I get a lot of emails about Latin tattoos. It's important to check on the grammar of a Latin tattoo before you actually get tattooed, especially if you used Google Translate to generate the Latin. Here's why: Quod scripsi, scripsi. "What I have written, I have written." That DEFINITELY applies to tattoos. Anyway, I really enjoy consulting with people about their Latin tattoos, and I always ask them to send me a picture of the result. In all the years I have done that, so far only one person has actually sent me a picture, and I am so grateful to him! Here is his email to me: "I was deployed for 16 months to Afghanistan, during which time I became very close to a guy who was over there with me. I am now in the process of getting out of the army yet he has another deployment to face. 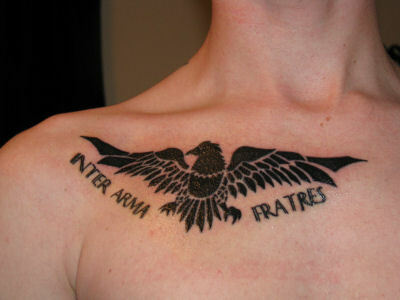 We want to get a roman themed tattoo to match but I am having trouble finding an accurate translation of Brothers in Arms. Could you please help me find an accurate translation of the phrase I would greatly appreciate it." But that's not the story I want to tell. The story I want to tell is a little different and, because it is from at least seven or eight years ago, I don't have the email exchange to supply details. The gist of the story, however, is this: I got an email on what must have been a Friday, late on a Friday. It was really abrupt, to the point of rudeness. More or less: "How do you say ____ in Latin? Write me back NOW please. It is important." And that was about it. So, I pondered what to do. People who know me know that I am pretty cranky. The best way to make sure that I will NOT do something is to tell me that I MUST do it. But the phrase was an intriguing one (I wish I could remember what it was now! ), and so I wrote back a few possible Latin translations and some comments on each one. Whatever. It happens a lot. But then... a few days later, early the next week, I got a heartfelt email, several paragraphs long. It turns out that the person's father had died, very sad stuff. Long story short: they needed the Latin because the father wanted it on his tombstone in English and in Latin, but nobody could find where he had written down the Latin, and they wanted to make sure they included his chosen words in the memorial service also. They had already tried contacting various Latin professors in Australia (where they lived), but no one had replied, so they had found me online and had written me in desperation at the last minute. And they were so grateful, etc. Wow. WOW. As you can imagine, I was very glad I had repressed my cranky self and replied promptly to the email. It made me cry, but a good kind of cry. Just recently, I received another, similar request, and it also made me cry. Since this happened just a few months ago, I still have the email; it is from someone in the Netherlands. As you will see, he found an old blog post of mine from back in 2007 about a Latin phrase. Here is his email: "In reference to nulla dies sine linea, something you wrote about back in 2007, I have a question and perhaps a request for some advice. My father, a biomedical engineer / language nut (latin, greek, ancient hebrew) / prof at UPenn and above all a theoretical scientist has asked me to suport his thinking for a suitable, but brief preferably ancient statement for his tombstone. He is terminally ill and enetering the final phase. I had suggested nulla dies sine linea but had, based on my reading at that point, presented its intent as less literal - let no day pass without a thought as being suggestive of the intellectual or artistic work more than just the pragmatic. Faced with the need to finalize the choice, and having read you on line: is the less literal translation unsuitable in intent or usage? if unsuitable, are you aware of a similar (short) phrase touching on the same intellectual suggestion?" Here is what I wrote back: "Your generalized interpretation of Nulla dies sine linea is indeed how the line is commonly understood, so it would be a perfect memorial. In the original context, it referred to painting (i.e. strokes of the brush, which were lineae, lines in Latin), but over time it has been taken to refer to writing (as we still use the word lines), but also any kind of thoughtful endeavor. It is a beautiful sentiment, clear, easy to understand, powerful." Of course, his kind email made it easy to write back. But I learned my lesson the first time: if someone tells me their Latin need is urgent, I need to take it seriously, even if their email is abrupt. 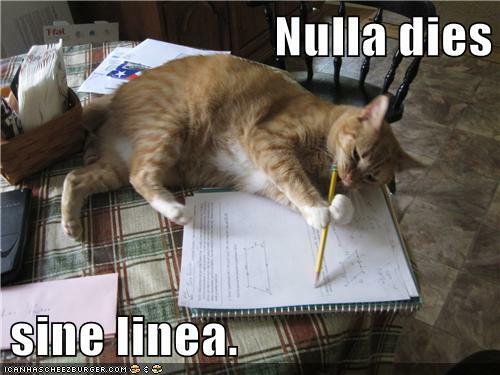 Meanwhile, I had always considered Nulla dies sine linea to be a perfect motto for bloggers. And now I am glad to think that it was also able to serve an even more important purpose in helping to convey the special quality of a person's life. So........ keep on writing, everybody! And share what you write online! You never know what GOOD THINGS might happen as a result. Want more? You can find some wonderful video stories about online sharing that Alan has collected here: True Stories of Open Sharing. And if you have a story to share, tell Alan!!! Course Redesign Update: July 21 ... Stage Two begins. Now that Stage One of the project is done (all 100 units posted), I am ready to move on to Stage Two, so I thought I should sketch out here just how that will work. Proofreading Post Pages: This is something I feel I really must finish by August 11, even for the units that come later in the semester, because students may be browsing these pages and consulting them for their Storybook projects. So, at a minimum, I want to make sure I have proofread each page — for some units, that is very quick, but for other units (where I took the content from raw OCR rather than an already proofread product at Gutenberg or similar), it can be time-consuming. I've got 1625 pages proofed already, with 278 more to go. Writing Overviews: Although this is a task that is hard for me (concise writing? argh, not my style, ha ha), I absolutely must have the overviews for all units done by August 11. The overviews are a crucial element in orienting students to where the stories in that unit come from, and also helping them see how the unit fits into the big picture overall. I've written 70 overviews so far, which means 30 more to go. The overviews are appx. 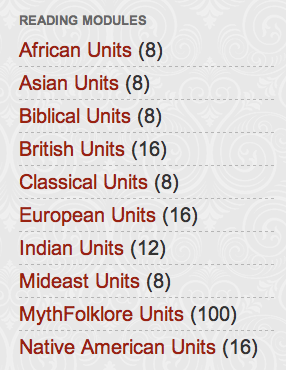 150 words long, and they appear on the index pages, as you can see here: Asian Units. Writing Library Pages: Every unit already has a library page, but not all the pages provide exhaustive links to all the online sources available for a given item (like this). I've written up 78 library pages already, so that's just 24 to go. This is something easy to do, and also fun. 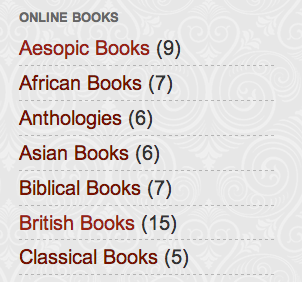 I love seeing what books are online and in what formats. Since this is a more-or-less mechanical task, I can do this one while watching TV shows or listening to an audiobook. Prepping Units for Use. This is the tricky new thing that begins tomorrow, and I've added a new column to the spreadsheet that rules my life so that I can prep the units for use while staying about four weeks ahead of the students. To do that, by August 11 I need to have prepped 28 of the units; by the first day of classes on August 25, I will have 53 units prepped. Prepping involves a whole series of small tasks, such as proofreading (again) and checking links, plus writing up some storytelling ideas for students who like to work from writing prompts. This will actually be a lot of fun because, this time around, I will be trying to look at the units through the students' eyes. Even better: as soon as school starts, I will be getting feedback from the students which will help me do a better job with that over time. I should be done prepping all the units by early October. For Stage Two, I just have to get the first 28 done. I'm starting tomorrow on that! Adding Audio Links: About one-third of the units have audiobooks available at LibriVox, and I am linking the story post pages to the LibriVox file (like this). This is a totally mindless task, easy to do while watching TV, so it will be no problem to get that done by August 11. I am so curious to see how many students are interested in listening to the stories read aloud. Just speaking for myself, I love spoken word audio, and most of the leisure reading that I do is audiobooks rather than print. Adding Images to Post Pages: This is something I really enjoy, and it is very important to me that eventually all post pages have at least one illustration, but it is not crucial to finish that now. I have all the images done for Weeks 2-3, so if I can make sure to get all the images done also for Weeks 4-5 that will be perfect, as I already have illustrations for all of Weeks 6-7 (I did not do things strictly in chronological order this summer). Depending on whether the unit is easy to illustrate or not, I can sometimes do this work while watching TV or listening to a book, but when a unit is harder to illustrate, I need to focus and really think about where to find good, un-copyrighted images. Indian Epics Reading Guides: Although this is not part of Myth-Folklore, I am also revamping my Indian Epics Reading Guides and building up a big library of images to go with the Guides (like Myth-Folklore, Indian Epics has a very very very old website that needs to migrate to a more responsive platform). I won't go into details here, but you can see the results at the Indian Epics Resources blog. I've got 283 images done, and I'm aiming for about 700 by August 11, and I've also got just over half of the Reading Guides done: 13 down, 11 to go. Just like with this Myth-Folklore project, I am having way too much fun with this, ha ha. It was hard to make the decision to finally just ditch my old website, but now that the decision is made, I am moving full-speed-ahead. This is also something which, most of the time, I can do while watching TV or listening to audio. I need to write up a separate post on how I am managing this process, since it is quite different from Myth-Folklore, and I need both Diigo and Blogger to keep track of things for this one. So, in addition to my normal course prep work (which will start on August 1), that is Stage Two of the UN-Textbook. Stage Three is where things REALLY become fun, because that is when I can start adding lots of notes, thematic pages, commentary of all kinds. But I better not let myself think about that now because I have to keep the focus for Stage Two and triage for the start of classes. But once school starts, oh, I am so excited that content development will be part of my daily routine. That has not been the case for some years now because I have focused 100% of my efforts on the writing-and-feedback side of my classes. That has been a very satisfying and successful experience but, now that the writing-and-feedback aspects of the class are working really well (I think), the time has now come for the pendulum to swing back to the content development side of things for a few years at least. I am going to enjoy that so much, especially now that I have a super-flexible and responsive platform like Blogger in which to deploy my content and get lots of feedback from students (more on Blogger as a content development platform). 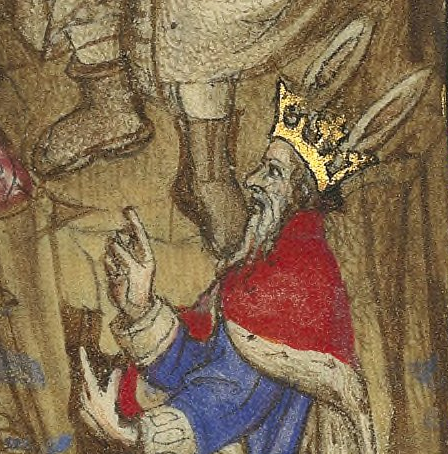 Meanwhile, to get started on proofreading today, I worked on the King Arthur unit. What a blast! Although, of course, it also made me think about was all the other King Arthur material that I want to add in future iterations of the content development process. I am glad that I chose to focus on the Holy Graal legends since I am sure that will be new to many (most?) of the students... but of course all the other Arthur legends are wonderful, too! And there is so much good Arthur material online, so for sure I will be adding more Arthur units later on. Course Redesign Update: July 20 ... ALL UNITS POSTED!!!!! Well, here is the last post that I will be doing "by the numbers" ... because the reading units are all posted for the Myth-Folklore UN-Textbook! Yes, there is a ton (A TON) of work still to do, but the framework is there. Yep: 100 reading units; see navigation in sidebar at the blog. I still can't believe I did it, and I am also still just amazed at how completely glitch-free this process was, so much fun from start to finish. I am delighted that it was the Kalevala that finished things off today: great for poetry, great for epic, and the perfect accompaniment to Hiawatha too! Now that I've got almost all the reading units in place, I've started adding labels for story types and story themes. That will be a HUGE effort next year, but right now I'm just exploring some ideas. For example, I did the Midas Ears story type today. I've got three very nifty versions of the story spread out over three different units. So cool! I was so glad to get back into the project today, and this was the next-to-last time for adding new units. 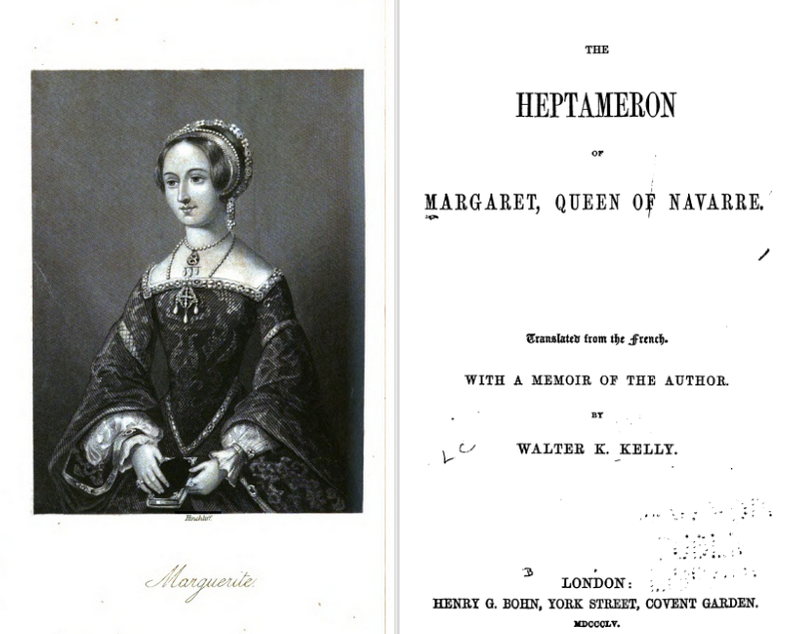 These two new units — Decameron and Heptameron — bring me up to 98, and I'll add the two final units on Sunday. I was really excited to add these two units because there were part of my old World Literature class; I don't teach that class anymore, but I have been missing the units that were part of it! It was lower-division, and the demand for upper-division Gen. Ed. was just so much bigger that it was better to discontinue the World Lit class. With the new UN-Textbook, I've managed to include those units I've been missing! Unexpected hiatus due to medical emergency: retinal tear! Eeek. But it was found and fixed all within 48 hours. Details here for anyone who is curious. A good day for Indian unit overviews - four new ones... which means that module is ready to go! I also had a great time proofreading the English Fairy Tales II unit! So many good Cinderella-type stories in here and other great stuff. 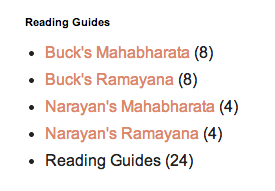 And super-happy with how the Indian Epics Reading Guides are going too... I don't want that class to be totally neglected! Also, lots of fun proofing the Celtic Fairy Tales II unit. Fairy music even! 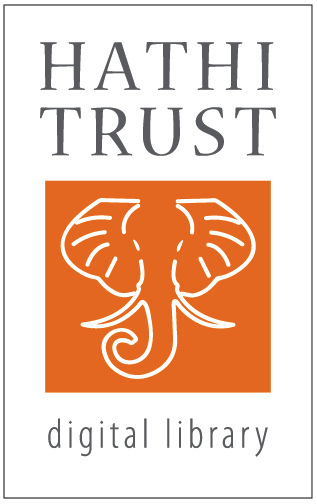 Thanks to a very welcome back-and-forth with Cody Taylor over at the Open Educational Resources blog at the OU Libraries (I am so grateful for a blog at my school that actually seems capable of supporting a conversation! ), I wanted to take a few minutes today to brainstorm today about the advantages that keep turning up as a result of my using Blogger as the content platform for the Myth-Folklore UN-Textbook in my class. I listed some of the advantages at an earlier post here - Blogger as content management system - and now I want to expand on that, adding some more observations about why Blogger has turned out to be such a great choice for this huge, long-term project. The benefits I listed before were really focused on my content publications this summer, but in this post I will focus on the pedagogical value of this approach and how I hope it will make the class a better experience for my students. I'll be asking students to take a few minutes when they do the readings to rate the stories. It's not fancy analytics, but it will still be useful. I am very curious which stories will turn out to be people's favorites (I'll be learning about that also from their blog posts), and I am just as interested in finding out which stories people think are boring. In many cases, these reading units are drawn from longer books which contain many stories, so it will often be possible for me to substitute a story that is not working with something better. I wouldn't delete a story from the blog itself, but I can easily remove a story from a given unit and retiring it to an "unassigned" pool. That way any incoming links to the retired story will not be broken, but I can substitute another story in its place in the actual reading unit. 2. Feedback from students: comments. I'm also going to be asking students to leave comment on the stories, in addition to their own blog posts. I really hope they will ask questions about anything that is not clear because that will help me to write better notes for the stories... and writing notes to the stories is an on-going process that will take me at least a year; the student comments will help me know which stories to target as being especially difficult and in need of notes from me. I also hope they will leave comments on which stories are their favorites, along with links to their retelling of a story for the story they choose each week to retell. That's not something I'll require, but I will encourage them to leave a link, esp. if they are really proud of their retelling, as they often are. MORE ABOUT FEEDBACK: Just as feedback is crucial to students, it is crucial for teachers... even more so since we, as teachers, are 100% committed to our classes; with students, understandably, that level of commitment varies from class to class. I would cite these two feedback mechanisms — blog post ratings and comments — as the two most positive features of Blogger for my purposes. Especially as I embark on this long-term development process, I desperately need feedback from my students! I'll also be soliciting some feedback via their Declarations in Desire2Learn, but I far prefer an open feedback process via my blogged content and also via their own blogs. 3. Modular, reusable content. By creating my content in the form of blog posts, I have modular, reusable content. For the kind of content I work with, this is extremely valuable. In this first development phase, all the units are defined by their source: stories from Laos, stories from Nigeria, stories from the Iliad, etc., but after I get all these stories posted (and there are going to be close to 2000 stories by the time I am done with this phase), I want to create THEMATIC units: stories about lions, stories about witchcraft, stories about dreams, stories with riddles, etc. To do that, I will just have to add a new navigation layer defining the new units; the stories are already published. I am so so so excited about this, and it's actually been really hard this summer to stop myself from building those thematic units. It is going to be incredibly cool and will really let the students explore the stories in the ways that best match their own curiosity. Many students will, I suspect, prefer thematic units to the source-based units I have now. Having labels like these to link to in the notes for the stories will be really powerful. I would not want to make a reading unit of Gelert stories (it would be kind of boring to read the same story type over and over and over again), but I really do want students to be aware of — and curious about! — the way that the "same" story appears in many different guises in many different cultures around the world. 5. Models for student storytelling. One of the most important goals in my class is to encourage students to use a variety of storytelling styles. I've got lists of styles and support materials, but I will be much better able to do that when I am able to link to individual stories that are part of the course readings. Needless to say, with this super-abundance of stories, I will be able to pick out some really excellent sample stories for students to use for inspiration in their own writing. 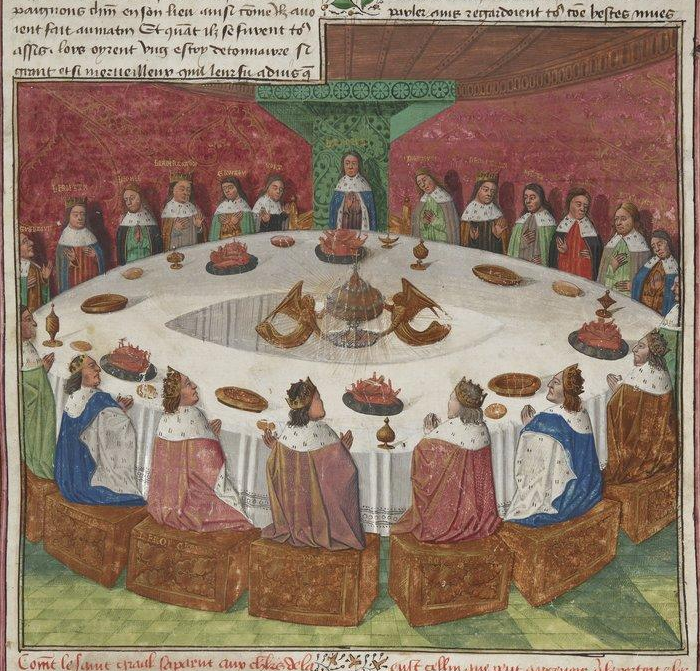 I am especially excited by the great examples of frametales that I will now be able to show the students with Arabian Nights, Canterbury Tales, Decameron, Heptameron, Dante's Inferno, Panchatantra, Tales of a Parrot, and the Vetalapancavimsati all as part of the class content. So exciting! I really hope that will inspire more of them to use frametales in their own Storybook projects. So, by creating STYLE labels (frametales, first-person, ballads, limericks, etc. ), I will be able to repurpose content quickly for students looking for style ideas. LABELS: The three items above are all about the power of labels in Blogger! Yes, I could use a tagging tool like Diigo in conjunction with a website, but I'm definitely enjoying the benefits that come with a publishing system that includes labels as an essential feature in the process. 7. Syndication. There is an RSS feed for this blog, and I set up the standard email subscription option in the sidebar, but I have not really focused on syndication this summer. As soon as the first round of content is done, though, I will be using this more like a blog, publishing weekly announcements (or every-other-day? or even daily?) which will highlight the content, provide background, etc. So, both for my students and for anyone who is interested in this stuff, the blog will be a content management system AND a communication platform (with RSS and email). Having announcements here will take some of the load off the announcements in my class announcements post also; that's something I am going to have to experiment with this coming semester, finding the right balance in terms of my own efficiency in writing the announcements and also in the usefulness for my students and also for a potentially larger audience. 8. Technology model for students. As I mentioned in my comments on Cody's blog post, another big advantage for me of using Blogger as opposed to building a website with Dreamweaver (or some such tool) is that it allows me to model content publication for my students. In the Gen. Ed. class that I teach, the focus is on reading and writing, not on web publishing, and the several weeks it would take my students even the basics of Dreamweaver would just not be appropriate for this class. I do, however, think it is CRUCIAL for them to be able to use free, hosted tools for publishing online — and yes, I said, "hosted" because my school's support for content creation by faculty, much less by students, is really poor. Thank goodness for Google! My students learn how to blog and also how to build a very simple website (using Google Sites), and I hope that my use of Blogger will help them to see that Blogger is a tool that can be used not just for blogging but also for content development. Okay, I'm sure there is more to say about on this fun topic, but those are the main things I've been thinking about in the past few weeks, so that will do for now! I'm still not really sure how I want to use this particular blog over the long term, but I am glad I have it as a place for posts like these that are too long for Google+ which is where I normally do my reflective writing. Admittedly, Google+ is forgiving of long posts... but this is definitely tl;dr even for Google+ ha ha. 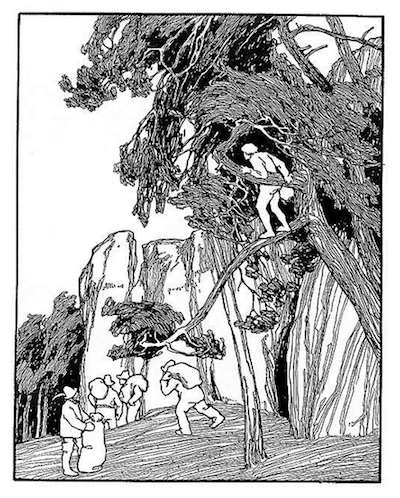 Aesop's Fables Index. I was inspired by the Brothers Grimm index to do one for the Aesop's fables too! Nursery Rhymes. This unit was incredibly fun to work on today! Brothers Grimm Index. I finished the two other Brothers Grimm unit (there are four of them), so I was able to do up a nifty index of all the stories! 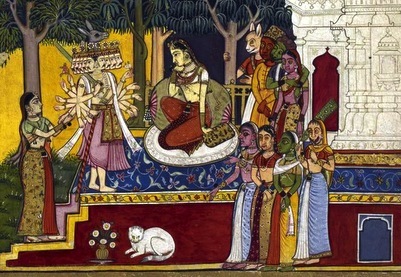 Indian Epics Reading Guides. I'm so pleased with how these are going too! Course Redesign Update: July 11 - Indian overviews! I was busy with overviews today! Course Redesign Update: July 10 - 90 units posted!!! A big day today: I added two new units, Grimm (Crane) and Faerie Queen: Britomart, which means I now have 90 of 100 posted!!! So, now the question is: how to keep that element of random while at the same time promoting some active selection amongst the many available options each week...? I need a new randomizer that integrates the idea of random while ALSO providing information that the students can quickly access to see if they want to go with the random suggestion or not (hopefully they will want to investigate at least a little bit, ha ha). That sounds like a lot of work, but it wasn't. Maybe 10 minutes, although I will need to do 12 of these scripts for it to be all ready to go. I'm going to sit on this for a little bit, though, and ponder just to make sure this looks good to me before I make the other scripts. Click here to ask the Crystal Ball again. Overviews for the three Buddhist units! All the overviews are done for the Middle Eastern module also! Since I am getting near the end of my process for adding content, I thought it would be good to document why and how I am using Blogger as a primitive content management system. It has worked WONDERFULLY, better than I ever expected. So, while I am in the thick of things this summer, I need to document some of the nitty-gritty for future reference. 1. Familiarity. 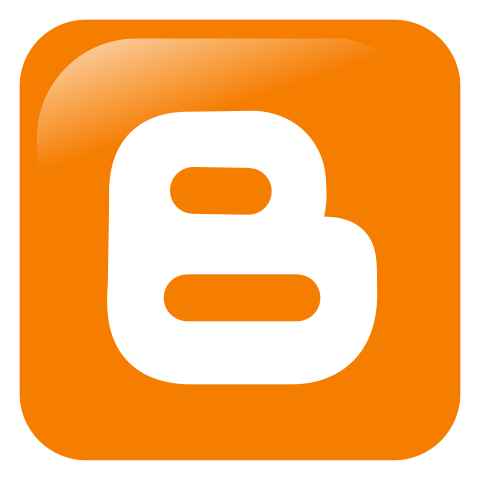 I am very familiar with Blogger, having used it pretty much every day since June 2007 for my Bestiaria blog, along with many other blogging projects. I used it sporadically prior to that, but in early summer of 2007 my b2evo installation got hacked, and I realized that I just don't have the time, interest or ability to do my own blog hosting. So, because I had used Blogger on and off since back in 2001 (yes, back when it was Pyra Labs), it was a natural choice for me in 2007, and I have had no regrets and no mishaps. 3. Why not ou.edu? Sadly, my school provides zero support for content development. Apparently all of us are just supposed to put content inside Desire2Learn... as if Desire2Learn could even come close to supporting this amount of content! Moreover, I need my content to be open; I am doing this not just for my students, but for ANYONE who is interested in mythology and folklore. Finally, even if my school did offer some kind of hosted blogging solution, I would not be able to put my trust in that service. The only disaster I ever faced as an online instructor was when my school discontinued a web hosting service (why did they do that? well, because we have wonderful D2L of course! sigh...). 4. Local back-up. Of course, I know that no hosted service, not even Blogger, is forever, so it is important to me that local back-up is quick and easy: Settings - Other - Export. In fact, while writing this post, I did a quick blog export. 18MB. It's a standard Atom XML format which means, if worse came to worse, I could parse the darn thing myself to extract the content and reformat as needed. And yes, I know, eventually this needs to become a database-driven system. I'm kind of baffled that I've been able to make it work so far with just spreadsheets to manage it. So maybe the eventual demise of Blogger (years from now, I hope!) will lead me to turn my hodge-podge blog into a real database. I'll figure that out when the time comes, knowing that if/when Blogger goes away, there will be plenty of service providers wanting to assist the refugees. The average number of story posts per unit is 19, and the average number of words per story post is 800. And yes, that makes sense since my overall content goal is to keep the units to around 15,000 words in length. I have stuck to that limit very closely since I do not want students choosing the reading options based on length. All the units are appx. the same length, even if the number of posts per unit and the length of a given post might vary. Eventually, I will be developing other kinds of posts for background information, exploring themes across units, storytelling ideas, etc. I have a few of those posts already published in fact. But for now, the system is working great with just these three types of posts. I track my progress for all three types of posts in a spreadsheet, which is what has given me confidence all summer that I will indeed be able to finish this insanely big project by August 1, even if I will be working on it still more for years to come, literally. The use of labels is key for me, and I have so many labels going for this project that I actually checked at Blogger to see if there were a limit on the number of labels. Luckily, the limit is VERY high: up to 2000 labels per blog. I use a lot of labels... but not that many, ha ha. I do occasionally run into a per-post characters limit for labels (I think it's 200 characters per post), but when I do, that's just a sign to me that I need to consolidate some labels and/or shorten them, no problem. There's also a per-post limit of 20 labels, but I have never run into that. So, I use labels in two very different ways: labels for navigation and labels for editing. Labels are really useful for navigation and linking, especially because Blogger lets you create multiple label widgets in the sidebar where you can select which labels you want to appear in which widget. Units Sidebar. The units label sidebar gives you access to each unit. That shows, at a glance, the index pages for all the 16 units in the Native American module. This is an especially useful navigation page to have for students to review as they make their reading choices! Note that all of these display pages are generated automatically by Blogger, based on my use of labels and time/date stamp. That's what allows me to call this a content management system. A kludgy one, admittedly, but I do not create any of these display pages manually; they are all automatically generated by the system based on the labels I am using. I also make use of the labels in Blogger to manage the editing. This is something that is more important behind the scenes, and eventually all those labels will disappear as I finish the summer editing. So, for example, as I am adding images to the story pages in a unit, I set a label filter for that unit, and then do a Control-F search to see at a glance which post pages do not have images (nopix) and which post pages do have images (donepix). So, there is lots more I could say about Blogger's conveniences for me, but I think I have covered the essentials. It's very simple stuff, which is the point actually: I have spent 99% of my time on actual content development, and 1% on technical stuff. That's a formula that works for me!